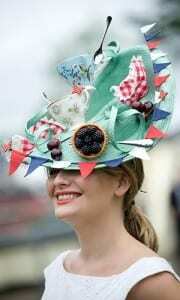 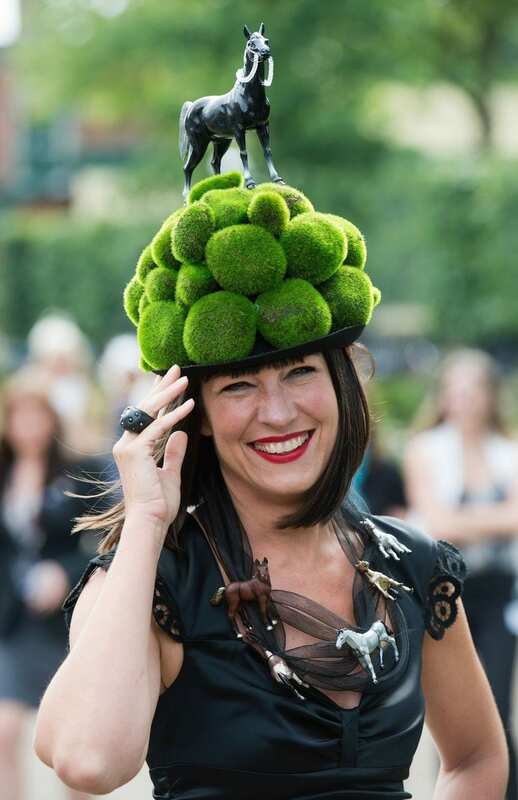 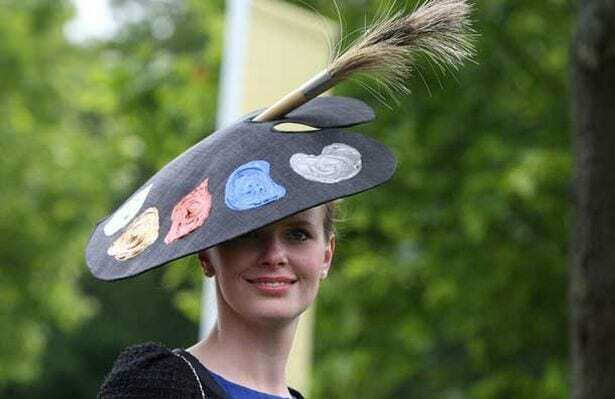 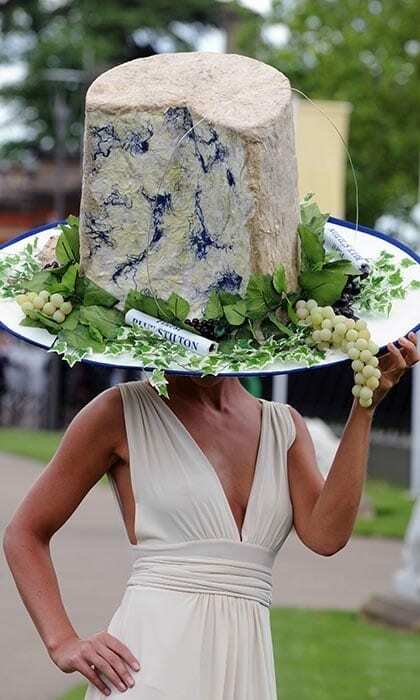 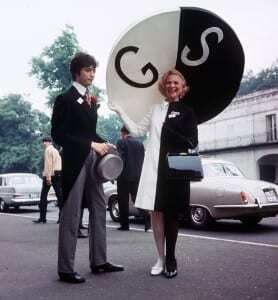 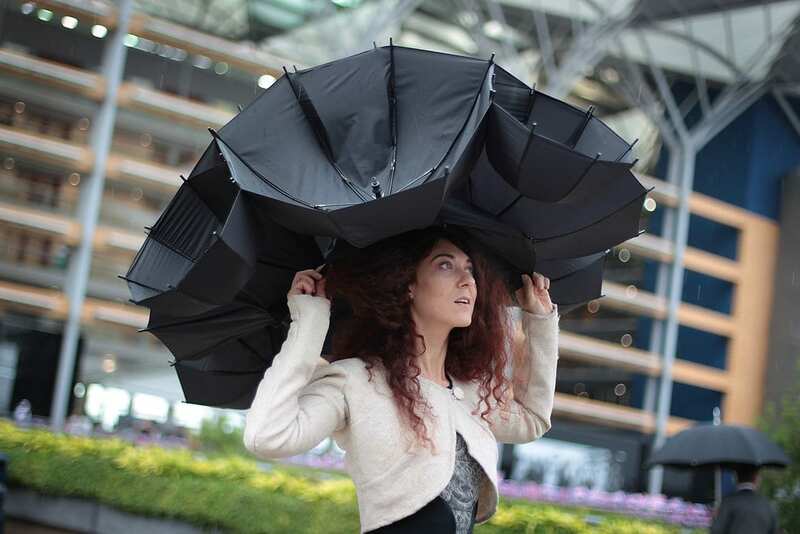 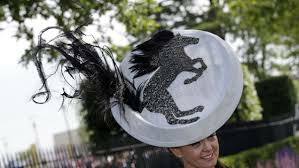 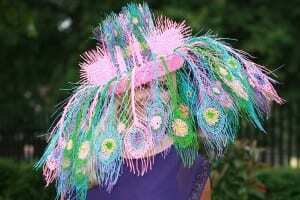 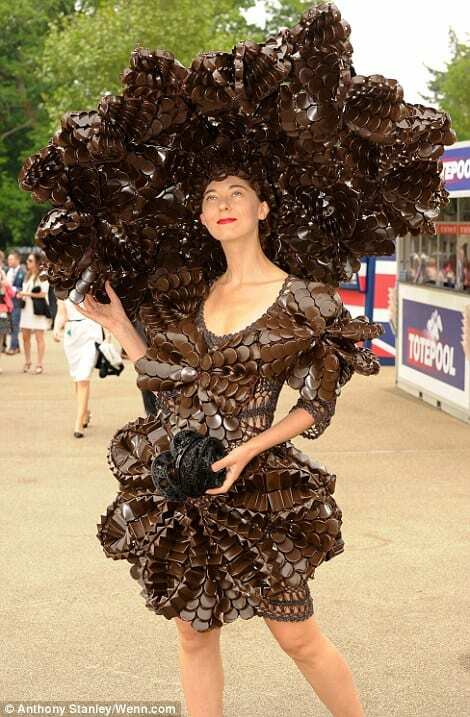 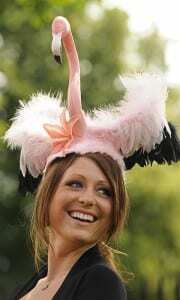 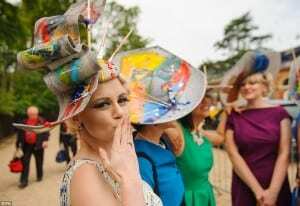 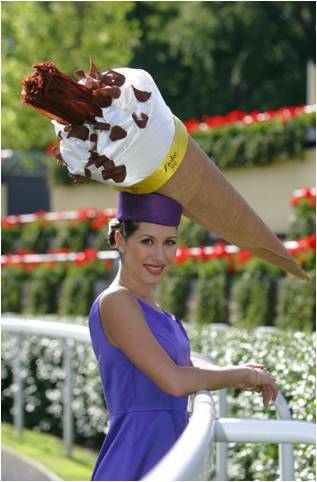 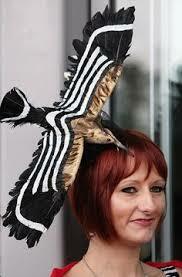 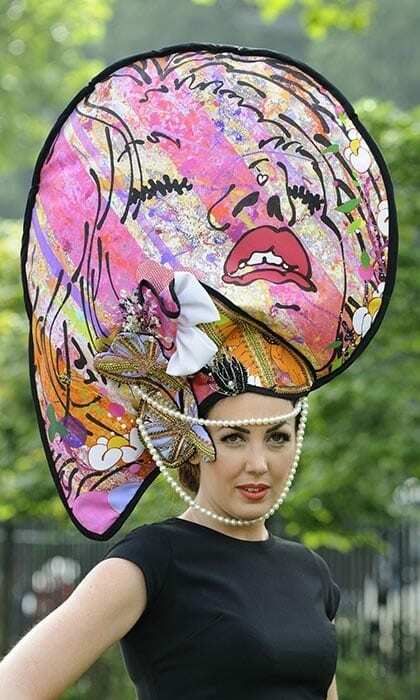 With Ascot fast approaching let’s take a look at some of the most outrageous Ascot hats. 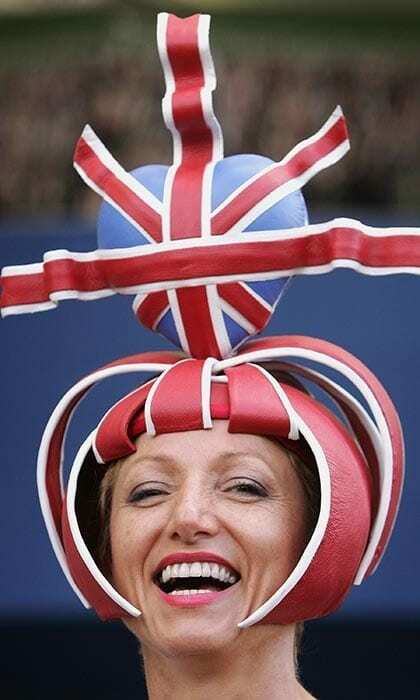 Each year there are certain types of hats we expect to see but these ladies may have taken things a little too far. What do you think? These ladies like to celebrate being British with designs inspired by the union jack, London land marks and traditional English pastimes like cream tea! There is always a large amount of food and drink based hats. 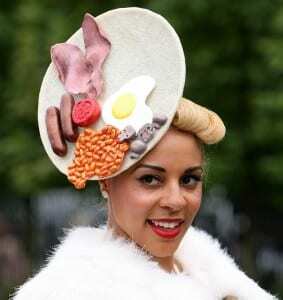 I think the above ladies may have gone a little overboard all their hats do is make me hungry! 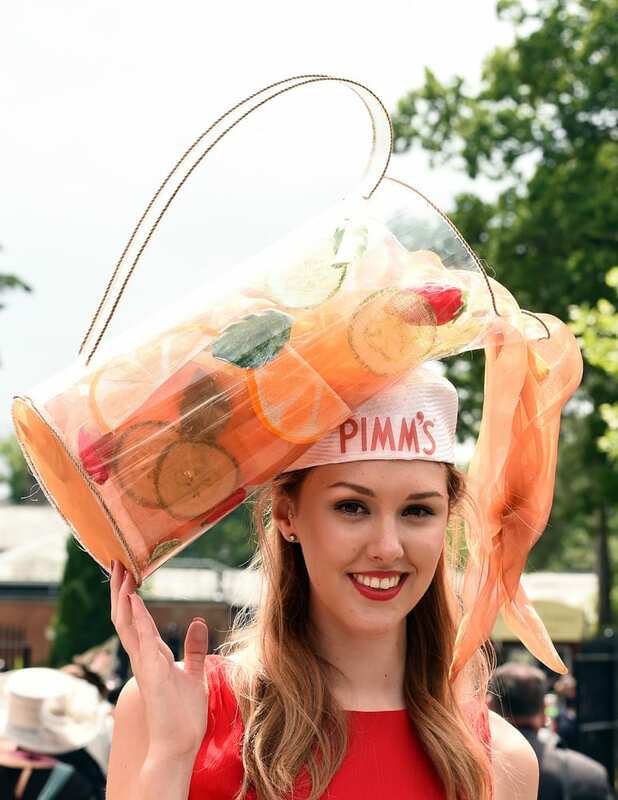 And lets not forget with food you need drink pims o’clock anyone! 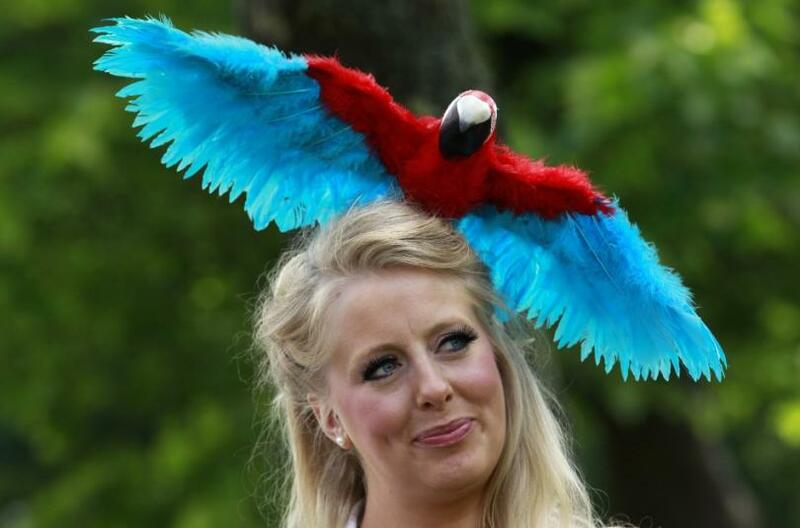 This definetly gives a new meaning to the cocktail hat! 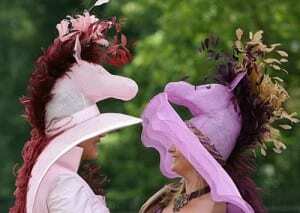 Ascot of course is initially a horse racing event so these ladies like to remind us with horse and racing inspired hats. Hats are often decorated with feathers, but these ladies like to go the whole leg and have an entire bird on their heads. Some try to aim to have the biggest hats there. 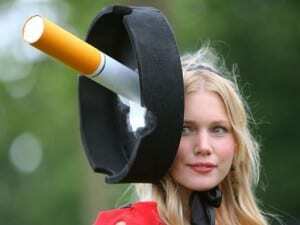 Personally I think I’d end up with a headache but then there’s always pain where fashions concerned. 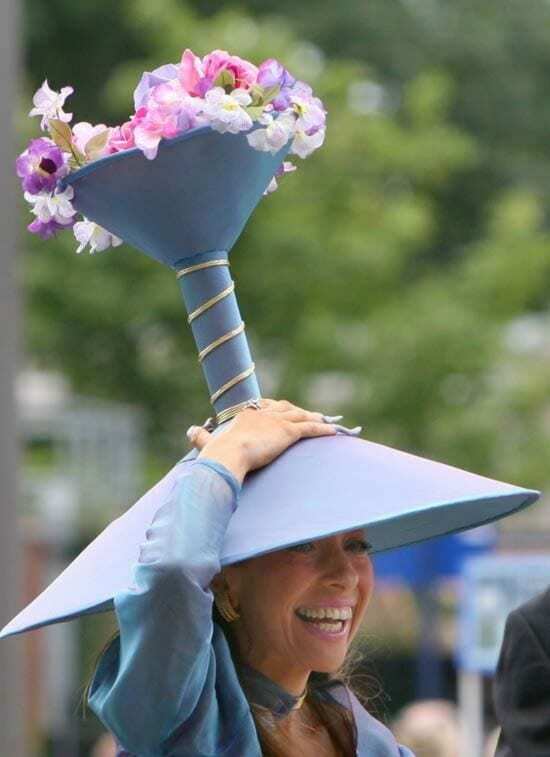 At least the umbrella lady is trying to be practical! 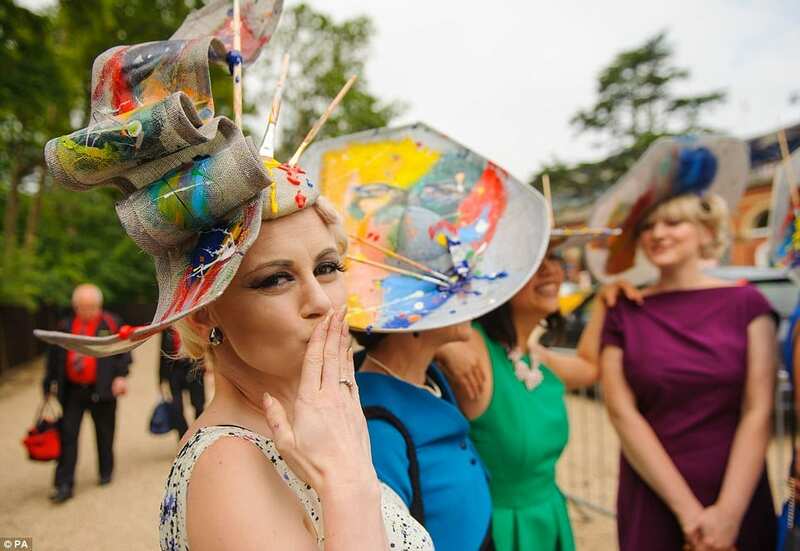 These ladies let art inspire their hats instead of practicality. The middle image shows model Carla Creegan wearing a hat inspired by the artwork of Louise Dear. 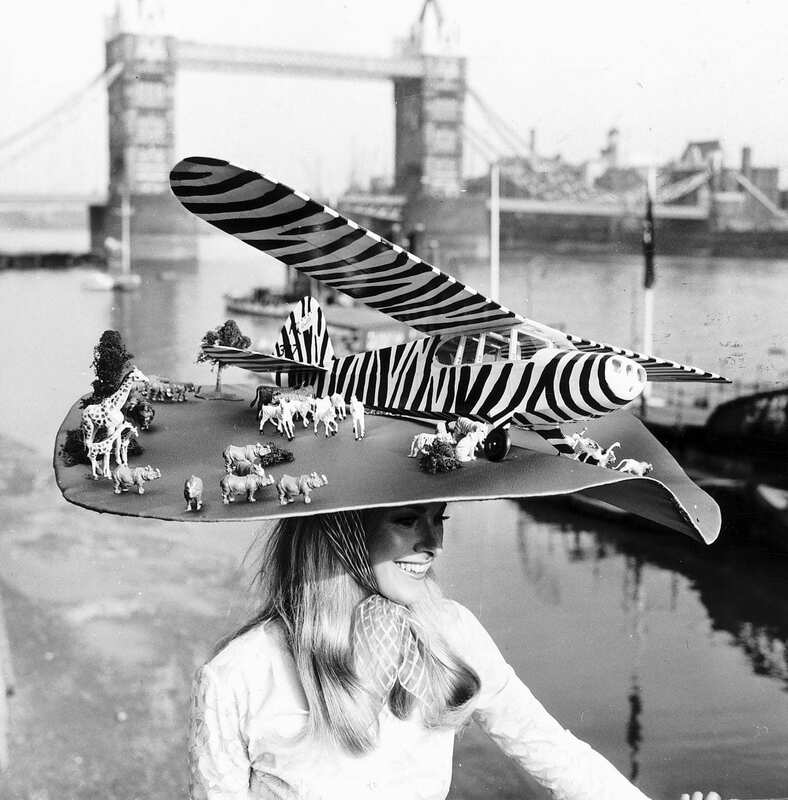 Most people believe the over the top hat fashions of Ascot are a modern madness, but check out these images from the 60’s and 70’s. 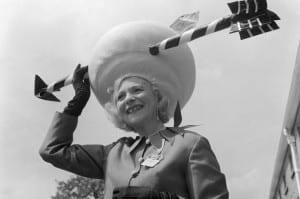 The above ladies were the trend setters of Ascot in their day and were clearly ahead of their time. So what can we expect this year? 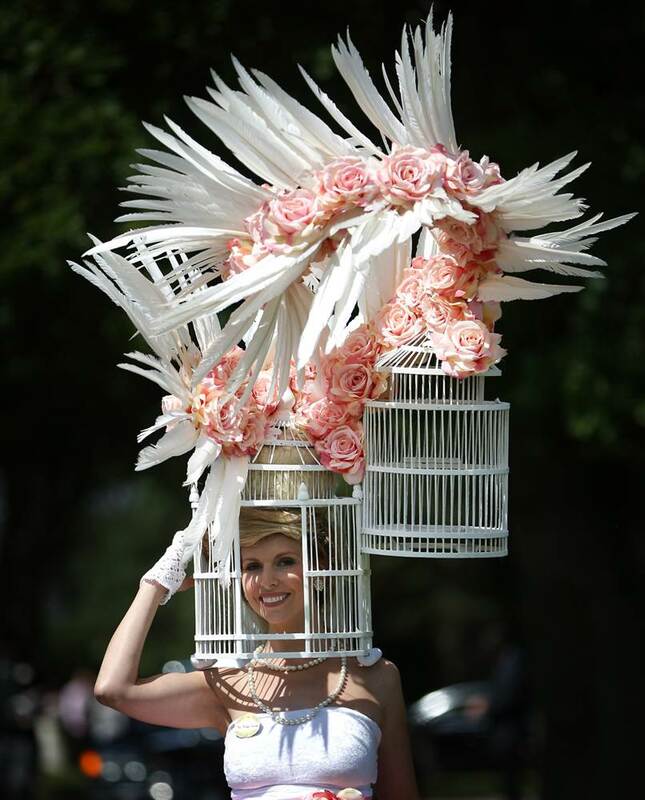 Who knows but I’m sure 2016 Ladies day will be outrageously Spectacular!